Active History Blog Post | History and such. Posted on May 8, 2012 by History and such. The following is a guest post I did on Activehistory.ca, which you can see in its original form here. Some of it may look familiar because it’s based on the ARG I played in September. The post was the first in a weekly series of posts leading up to the mini-conference “The War of 1812: Whose War was it Anyway?” being held at the University of Waterloo on May 30th. I will be presenting my experiences as a member of the Beta test along with Tim Compeau, Rob MacDougall, and Devon Elliott. Augmented reality games (ARGs) are immersive and interactive plot-based games, which break down the barriers between the gaming world and reality. They are not played in any one place or through any one medium, but sprawled across multiple media elements, such as email, Twitter, YouTube, Wiki pages, text messages, blogs, etc. No form of communication or digital interaction is off limits. Indeed, the point of an ARG is to pull game play out of the computer and into the real world, blurring the lines of simulation and experience. Unlike a regular computer game, which is controlled by artificial intelligence, ARG players interact directly with the human beings who design and control the game, appropriately named the Puppet Masters. Tecumseh Lies Here is an augmented reality game developed by faculty and students at the University of Western Ontario, designed to expose players to the history of the War of 1812, while teaching them traditional research techniques and skills necessary for practicing historians. In September 2011, the creators of the game ran a successful beta test on a group of unsuspecting public history graduate students—including me. 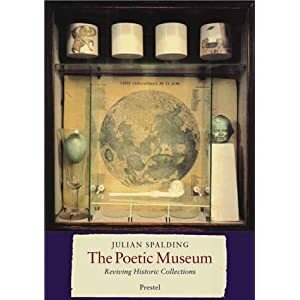 Suspicious and even unwilling at first, I found myself drawn into the game through its clever incorporation of fake conspiracies among contemporary historiographical debates. My insatiable appetite for puzzles, and my perpetual need to finish what I started, made it difficult for me to ignore. Suddenly my hours spent in the archives filled more than a class requirement; I was solving riddles, unlocking ciphers, and racing around southwestern Ontario to open a GPS-powered treasure boxes. Tecumseh Lies Here explores the life of the Shawnee war-chief Tecumseh, and the myths and controversy surrounding his death and final resting place. 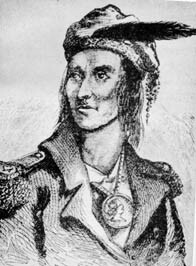 Although Tecumseh died at the Battle of the Thames on October 5 1813, his body was never identified, giving rise to rumors that perhaps he had not died or that his body had been spirited away. White fascination with Tecumseh and the morbid question of his remains grew throughout the nineteenth century. Tecumseh Lies Here thrust me and my fellow players into a secret world of 1812 enthusiasts still searching for Tecumseh’s bones—a kind of metaphor for continuing contests over the commemoration of the war. Some of the characters we encountered were helpful and encouraging; some were whistle-blowers in a complex historical conspiracy; and others were downright terrifying. While playing the game we found our everyday discussions, twitter-feeds, studies, seminars and eventually our dreams, completely consumed by Tecumseh and the mysteries surrounding his death. The game blended fictional characters with a genuine historical mystery, and questions about the memory of the real Shawnee leader, and the meaning of the war. To “win” the game, I and the other players had to comb through libraries and archives, gather evidence, interpret primary sources, analyze secondary sources, and debate the best means of moving forward and solving the clues. Heritage and historical sites were part of the game as well. There were riddles involving museum exhibits, clues hidden in parks and battlegrounds, and devices that could only be activated in certain significant locales. The game, like the past, was pervasive—its traces could be anywhere. 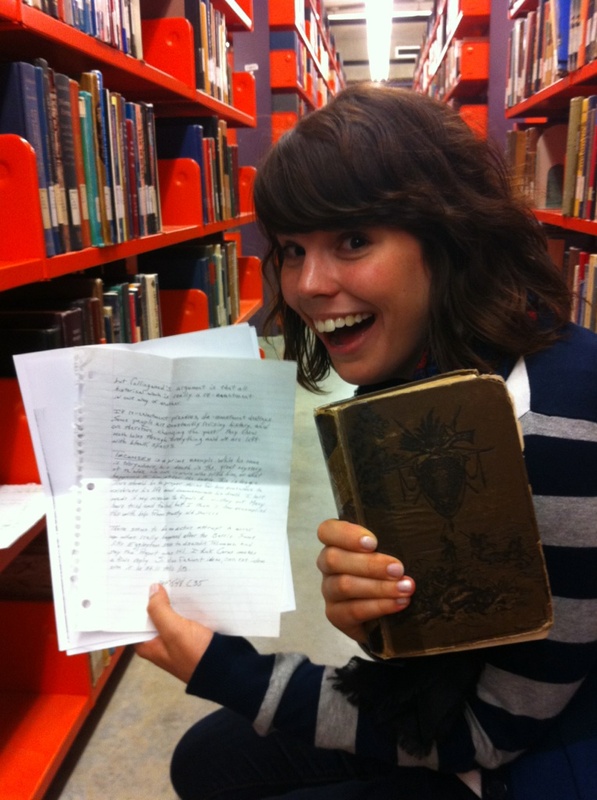 Finding out first clue in Weldon Library. One of the most interesting and unexpected aspects of the game was how collaborative it was. From what I’ve read about ARGs, that was part of the point. ARGs are cooperative games that leverage the collective intelligence of all their players. Many historians can attest that sharing is not necessarily our strongest suit. The intricacy and range of the ARG’s content appealed to many learning styles and research strategies, giving everyone in the group their moment to shine. In order to solve clues and move on to a next round, it questioned the ‘acceptable’ way in which we traditionally interact with historical discourse – it challenged the way we viewed history and its creators. ARGs have exciting potential for education, training, and addressing real world problems. MIT’s educational ARG Reliving the Revolution (2005) turned the site of the American Revolutionary Battle of Lexington into an augmented learning environment where students learned techniques for historical inquiry, effective collaboration, and critical thinking skills. In the PBS-funded ARG World Without Oil (2007) over 2,000 players from twelve countries came together to manage a simulated global oil crisis, forecasting the results of the crisis and producing plausible strategies for managing a realistic future dilemma. And the World Bank’s Urgent Evoke (2010) enlisted over 19,000 players in an effort to empower young people, especially in Africa, to come up with creative solutions to environmental and social challenges. Historians and history educators have only begun to take note of these developments but the potential is exciting and real. Besides Tecumseh Lies Here, another ARG for history education is the Arcane Gallery of Gadgetry, developed by faculty and students at the University of Maryland. Historians and history educators have only begun to take note of these developments. But the potential is exciting and real. For more discussion on this topic, I and three of the creators of Tecumseh Lies Here will be leading an informal panel discussion at The War of 1812: Whose War was it Anyway?. We’ll present our experiences writing, running, and playing the game, and try to open up a discussion on the politics and pedagogy of the 1812 bicentennial, and the potentials and challenges of ARGs for history and heritage education. We hope to see you there! Posted in Uncategorized and tagged gaming, history graduate students. Bookmark the permalink. I enjoyed this article Adriana, it got me thinking about about a lot of different aspects of gaming. This sounds more up my alley than WoW 😉 Well written and concise! High Five!